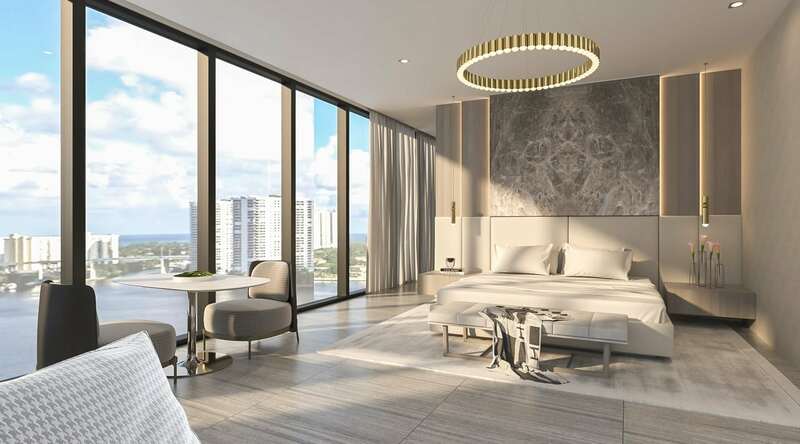 Privé at Island Estates is a stunning residential development located on a private eight-acre island in Aventura, Florida. 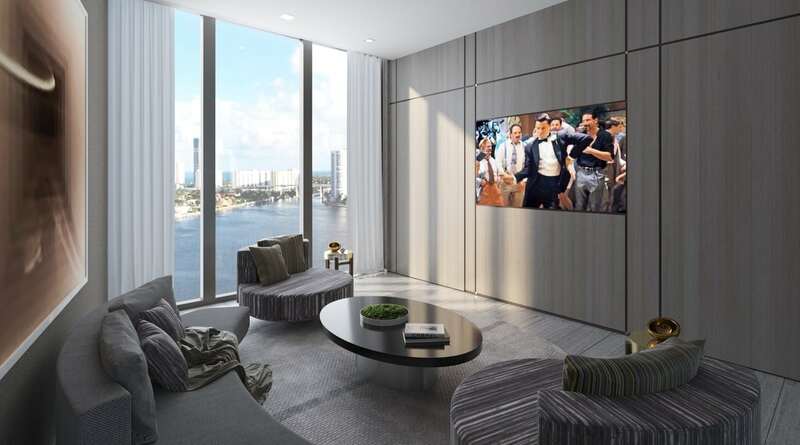 Our client has purchased one of only 160 total residences, all of which feature expansive water views and world-class amenities. 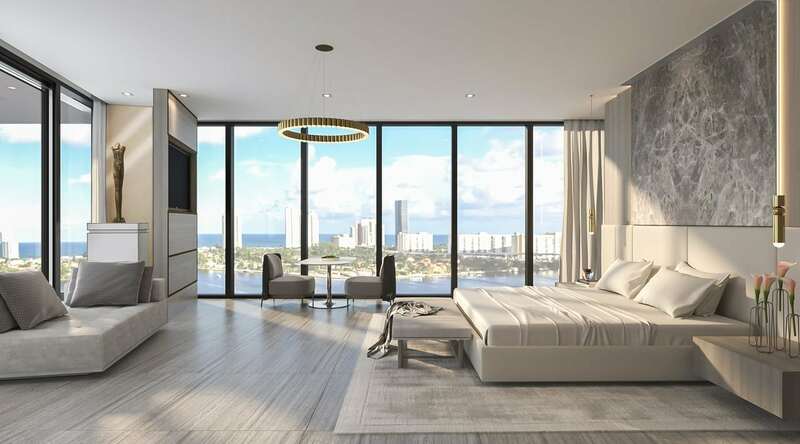 Our client found us via social media and asked our Britto Charette team to complete the interior design of his new construction, designer-ready residence. The client worked with our team, sharing his own inspiration and design ideas. From floors to ceilings and the walls that separate them, we’re designing it all. The residence is comprised of 4.5 bathrooms, four bedrooms (including a master bedroom), plus a service space that is equipped with its own bedroom and bathroom. We are converting one bedroom into a spacious media room by removing a wall and adding pocket doors that will create an integrated space. The master bedroom features a lounger and a seating area, both serving to create a sense of intimacy within the large space. It’s the perfect place to enjoy morning coffee or a late lunch. Custom paneling in the living room will be installed in a gorgeous overlapping fashion with LED lights between the panels. To create a sense of harmony, the design team has carried the wall element to the master bedroom and media room. Our team is taking great pains to cleverly hide columns, using mirror cladding and other techniques to achieve a seamless design aesthetic. From headboards to beds to a hidden bar, Britto Charette is providing custom work throughout the residence.